Istanbul Ataturk Airport is one of the busiest airports in the world with 70 million annual passengers. 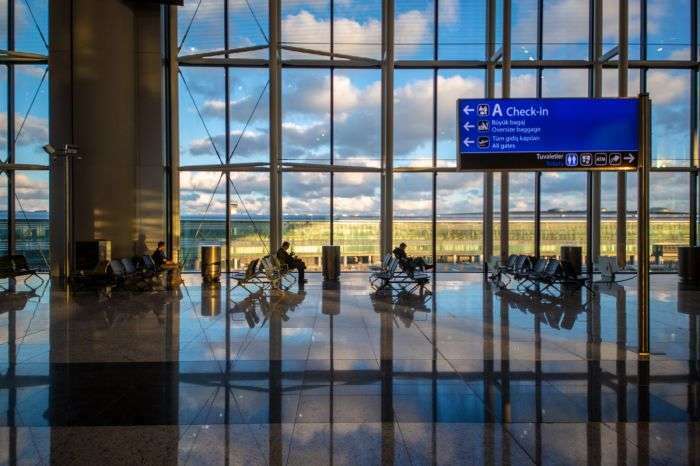 On April 6, it officially ceased operations and all commercial flights were transferred to Turkey’s new flagship international airport. The airport’s first phase of construction, which includes three runways and 15 million square feet of terminal space, is finished. There are four phases to be completed by 2025, with a total cost of about $12 billion. The new airport covers 76 million square meters (more than 818 million square feet or 18,780 acres) and can currently handle 90 million passengers a year in phase one. When the entire airport is completed, it will be able to handle 200 million passengers a year. That will make it the world’s biggest airport by passenger traffic. In comparison, Hartsfield-Jackson International Airport in Atlanta, currently the world’s busiest airport, handles 107 million passengers a year. 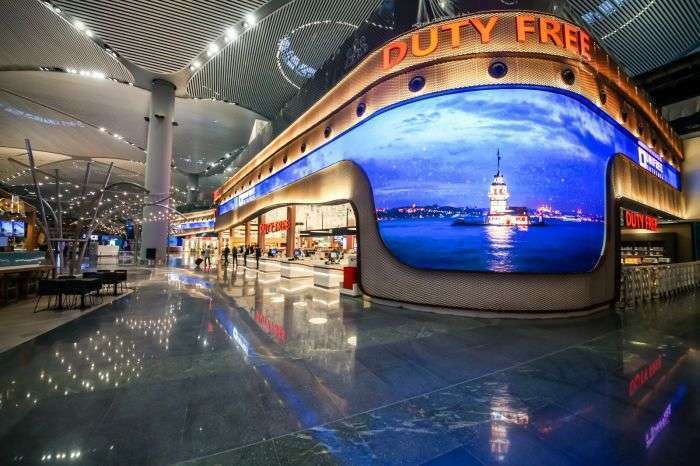 There will be 55,000 square meters (592,000 square feet) of Duty Free shops. 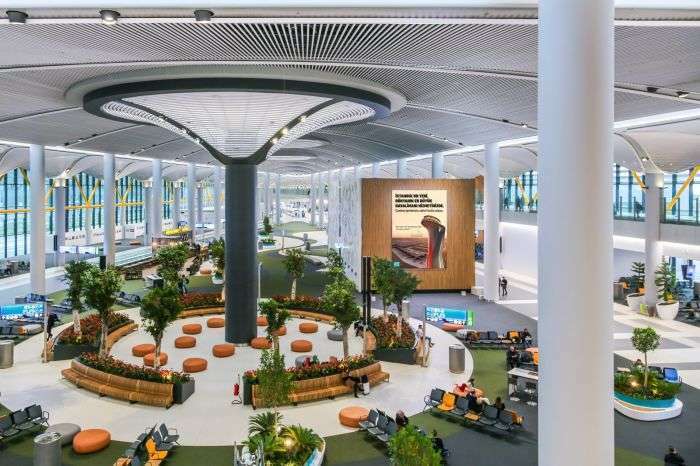 The Duty Free area, inspired by the Bosphorus, a famous waterway in Turkey, will have seven sections housing different concepts, including “Fashion Garden,” “Family Palace” and “Style Beach,” each selling brands related to its theme. 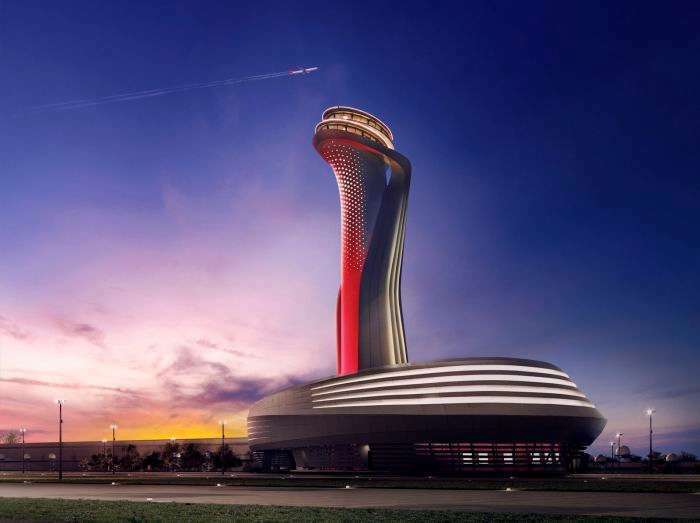 The air traffic control tower at Istanbul New Airport, which is 22 miles from Istanbul, is shaped like a tulip, a popular and symbolic flower in Turkish culture.